Dropbox Client is Coming Soon to a Windows Phone Near You! If you’re a die hard Windows Mobile fan and feel left out that why only iPhone and Android (soon) users gets all the glory of having their life in the cloud, then there’s good news for you all. 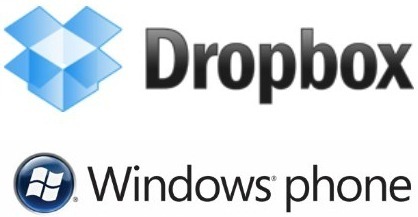 The official Dropbox Client for Windows Phones (Windows Mobile 6.5.x, not Windows Phone 7) is now in the works. The version of Dropbox which is in the works is being Developed by Fuze Mobility (under Ruttensoft’s license) for the Windows Mobile platform to cater the needs for those who prefer having all their files in an online cloud storage. The final version will cost $6.99 USD, but it’s definitely worth it! The beta version will be out in the next few days for everyone to try out, but there’s one tiny catch for the first beta version. It’ll only support high-end VGA and HVGA resolution devices like HTC HD2 but eventually it’ll support other resolutions as well. Point your browser over to Ruttensoft if you want more information. Check out the video below of Dropbox client running in a Windows Mobile emulator. Everyone who sign up with that link, gets a free 250MB of space available to use. I have a few spots available, so sign up and enjoy this on your Android, IPhone, and now Windows Mobile device. Nice one. The App is beein developed by Ruttensoft. Fuze Mobility has nothing to do with it.